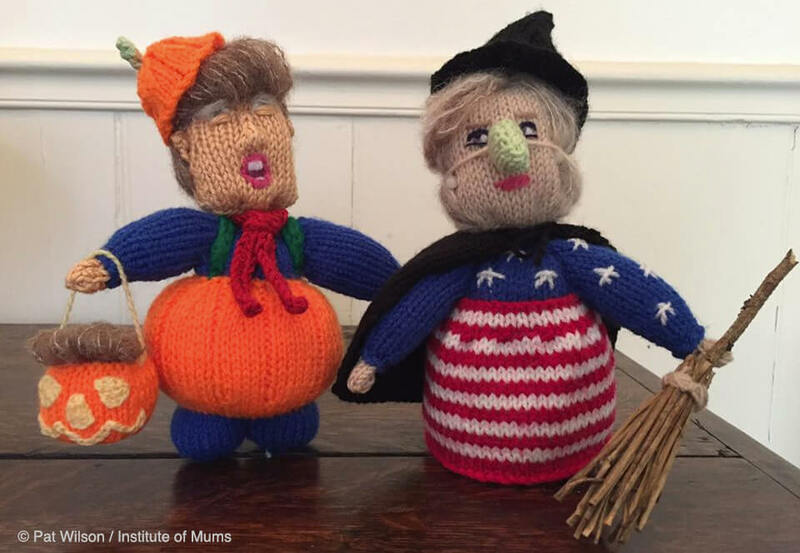 A keen knitter from Kent has recreated the American presidential candidates out of wool, but with a hilarious Halloween twist. Drawing inspiration from his infamously orange skin tone, Pat Wilson, 60, modelled Donald Trump as a pumpkin. Hillary Clinton is dressed in a star-spangled dress, finished off with a witch’s hat and broomstick. Sitting between them is the ghost of Abraham Lincoln. 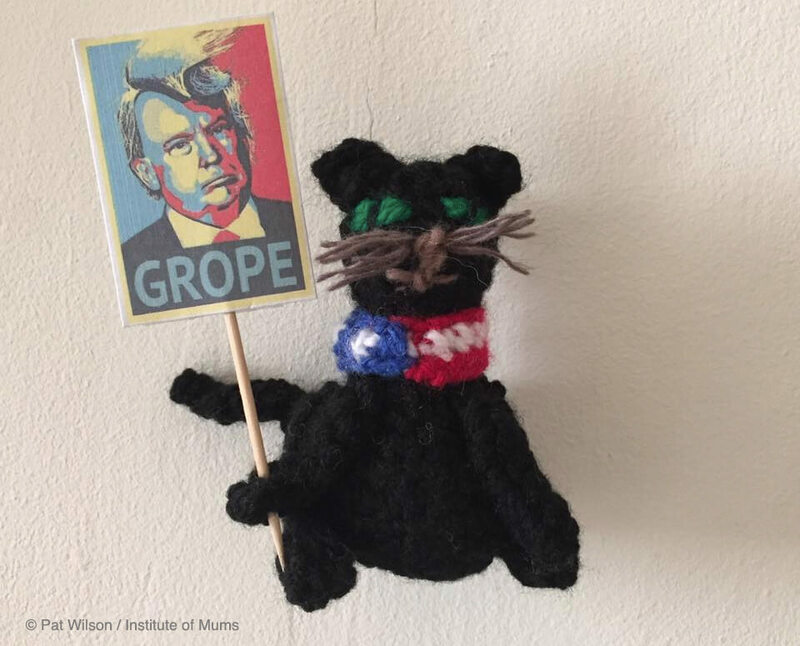 It’s not the first time the creative granny has knitted politicians. 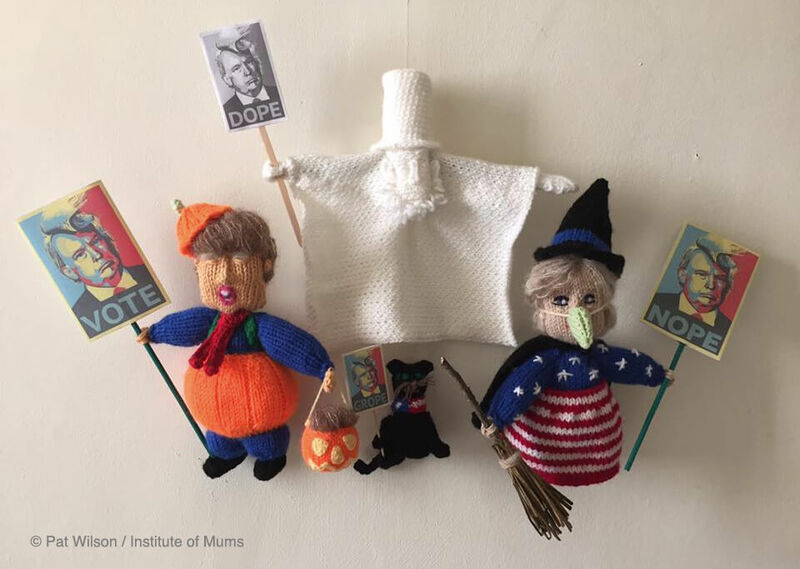 In 2015, she recreated the British party leaders out of wool, and with the help of her daughter, Photoshopped them into election campaign posters. Other events she has covered include the Olympics, the Tour de France and the Royal Wedding. To see more of her designs, check out Pat’s Twitter feed or follow her on Instagram.